A FedEx Meter Number is the credential to connect your negotiated FedEx shipping rates and tracking requests. 2. 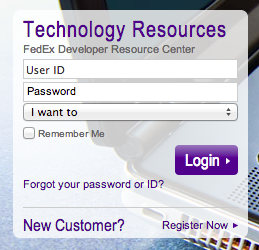 Type in your FedEx account User ID and Password, then in the I want to option field select Web Services for Shipping. 4. Select the FedEx Web Services tab on the left navigation panel, then select the Move to Production link. 5. Review, then click the Get Production Key button near the middle of the page. 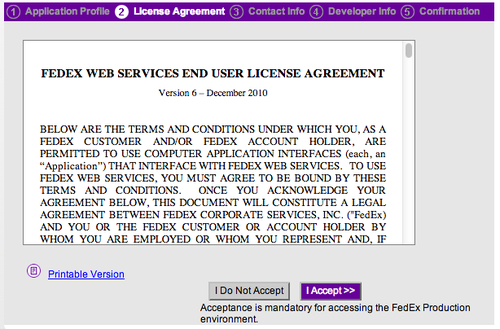 7. Review, then click the I Accept button for the License Agreement. 8. Complete the form with your Company Information in the Required fields, then click the Continue button. 9. 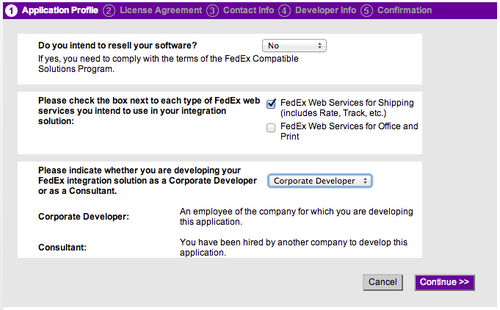 At the Developer Info page, select the option if you would like to update your FedEx Profile, then click the Continue button.